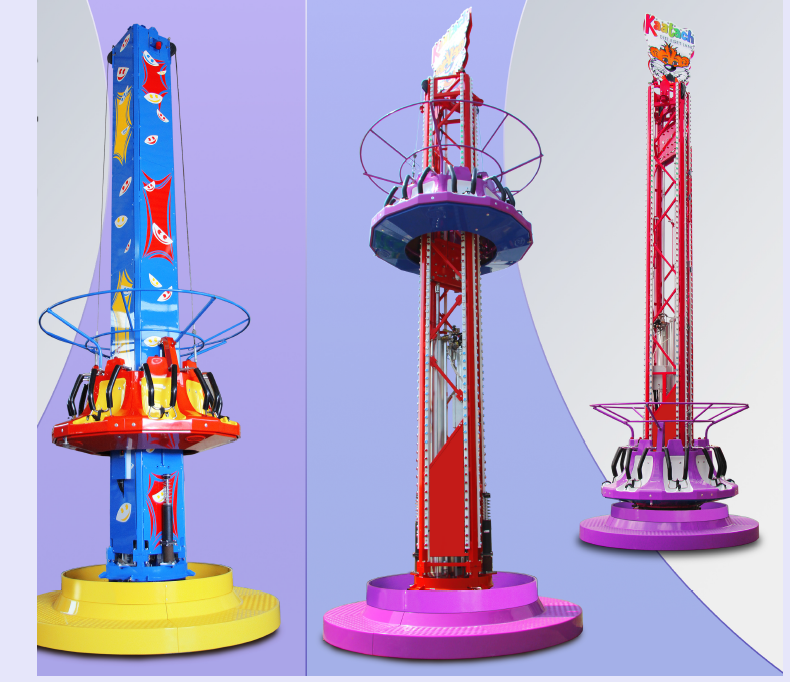 Mini free fall Tower amusement rides,let you shout and cry at any time! 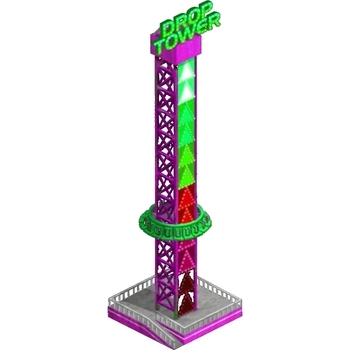 Description:Free Fall Entertainment Equipment is one of the most popular amusement attractions of all time. 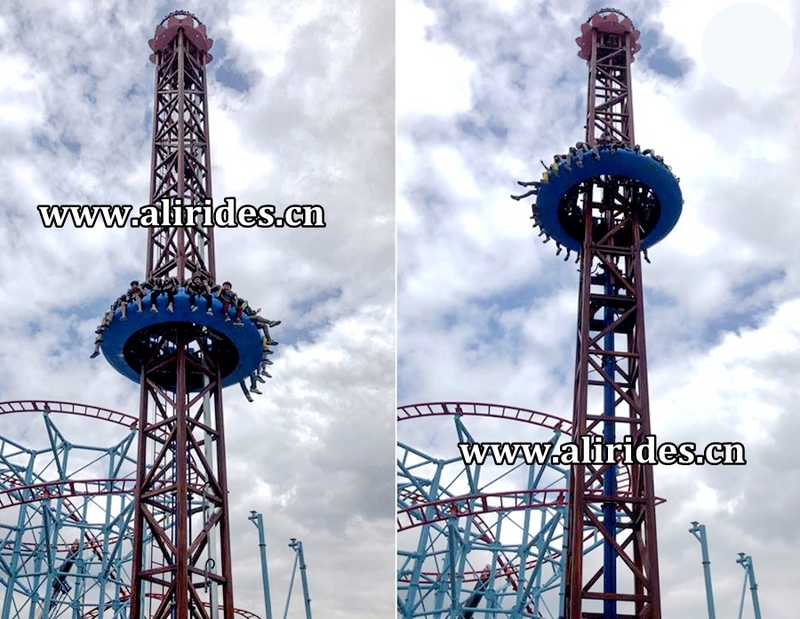 As in this equipment,customers can be raised to a higher height, it attracts more tourists. Seats are set around the car, and including round and square style. The car is raised to 50 meters high and sildes down freely along the limit rails of the colume. At the end of free fall, a permanent magnet is used for braking and the car is reduced to slowdown and arrive ground balanced. During the whole free fall process, tourist feel losing weight. Such a exciting equipment gets tourists' preferance. The equipment can contains 24 persons. 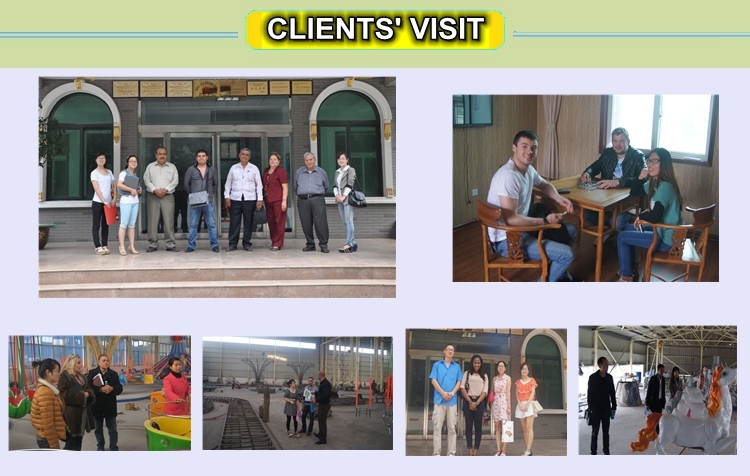 Zhengzhou Ali Brothers Import & Export Co., Ltd.